For Santiago Iñiguez de Onzoño, the fact that IE is a relatively young business school compared to its competitors is something that presents exciting opportunities. “This is a school where tradition is not so heavy”, he says. “So there’s an entrepreneurial approach present in all our activities”. Part of Prof Iñiguez’s expansion plans include strengthening IE’s offering of law programmes and his training as a lawyer gives him valuable insights in this area. At the same time, he is presiding over an institution that is in the middle of an ambitious international expansion. In fact, the dean’s outlook is a decidedly global one. 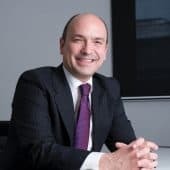 Chairman of the Equal (European Quality Link), Prof Iñiguez also serves on the Boards of EFMD (European Foundation for Management Education) and AMBA (Association of MBAs, UK) and has been portrayed by the Financial Times as “Ambassador of Europe’s business schools”. He has also been instrumental in setting up the Sumaq Alliance, a network of eight leading business schools from the Spanish and Portuguese speaking world. While Prof Iñiguez has been co-author of several books on moral and political philosophy as well as articles and case studies on business management, his priority for now is to build Instituto de Empresa into an influential and highly-respected international centre for management education. He intends to propel the institution into the list of the top 10 business schools worldwide. Behind this ambitious project lies Prof Iñiguez’s firm belief that education is the key to overcoming intolerance and improving people’s lives. And, he says, management education has a particularly important role to play, since business schools are preparing the social architects of the future. “I’ve always been optimistic person”, he says. “I believe in people and I think we can change things in our environment and in society through education – it is the most powerful tool”.